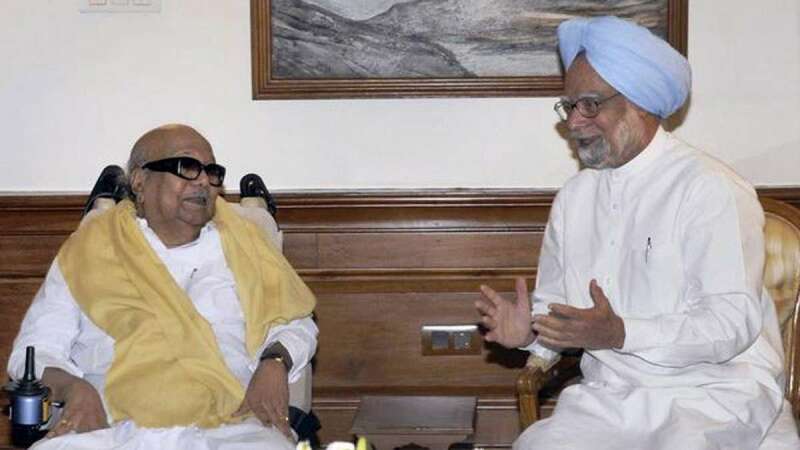 New Delhi : Former Prime Minister and senior Congress leader Manmohan Singh expressed his condolence on the death of DMK President M. Karunanidhi and wrote to his son M.K Stalin saying that the country has lost a versatile genius. "In his death our country has lost a versatile genius who was an outstanding artist, an eminent writer and a true leader who always stood for the cause of poor and downtrodden classes of the society," he said. Singh also added that he was an exceptional public servant who was a very able administrator and served the nation and Tamil Nadu with "great distinction in diverse capacities". "I respected Thiru. Karunanidhi deeply who had a special affection towards me and whenever I went to Chennai, I tried to find time to meet him personally there. His services to the nation will be remembered for many years to come," he added. Senior Congress leader Randeep Singh Surjewala also expressed grief over Karunanidhi's demise saying that he was "repository of federalism in India". "Karunanidhi was the harbinger of politics of deprived and politics of the poor in the state of Tamil Nadu. He represented scientific temper and creation of a casteless society. He led people of Tamil Nadu and shaped the destiny of the state," he said. Karunanidhi, 94, passed away on Tuesday evening. He was admitted to the hospital on July 28 and his condition worsened on Monday.